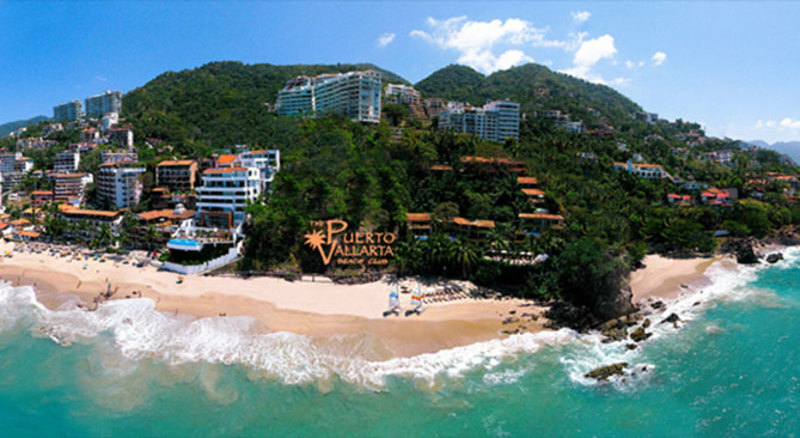 A tropical paradise awaits you staying in one of three exquisitely designed Vallarta Beach Club Villas with direct access to Puerto Vallarta's famous Los Muertos beach. The 5-star villas are private and secluded from each other by lush vegetation. 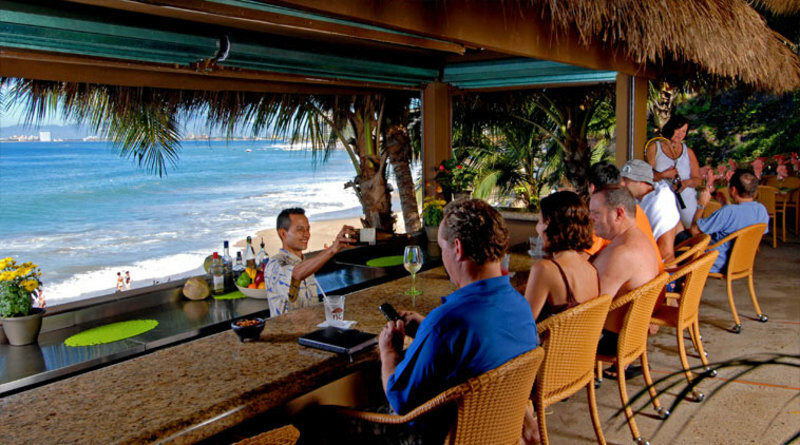 They may be reserved individually or combined to create a unique beachfront retreat for corporate gatherings, family reunions or to celebrate an event. Villa Romantica and Villa Alegre have 3 bedrooms each to accommodate up to 6 guests in each. Villa Vista has 4 bedrooms and can accommodate up to 8 guests. Each villa has a master bedroom suite with en suite bath and king size bed. Guest bedrooms have a king and two twins that can be converted into a king. High thread count linens and pillow top mattresses add to your well being and comfort. Together they can host up to 20 guests. For larger groups Villa Verano's main house may be added with 12 bedrooms to accommodate an additional 24 guests for a total of 44. 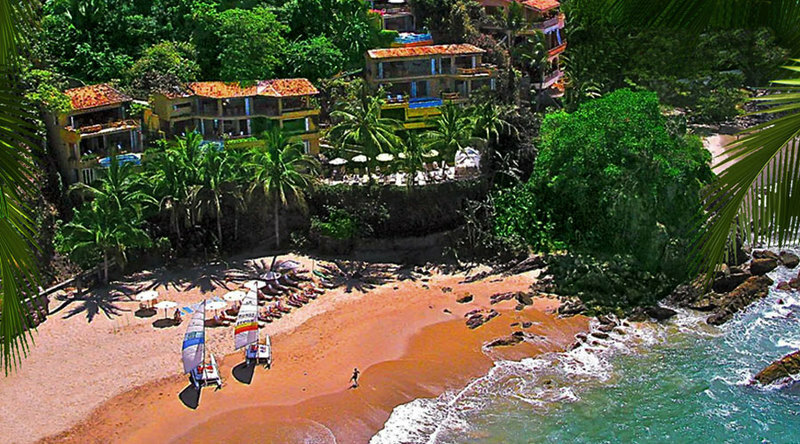 Each Vallarta Beach Club Villa has direct access to the white sandy beach, which is meticulously maintained by staff for guests' enjoyment. 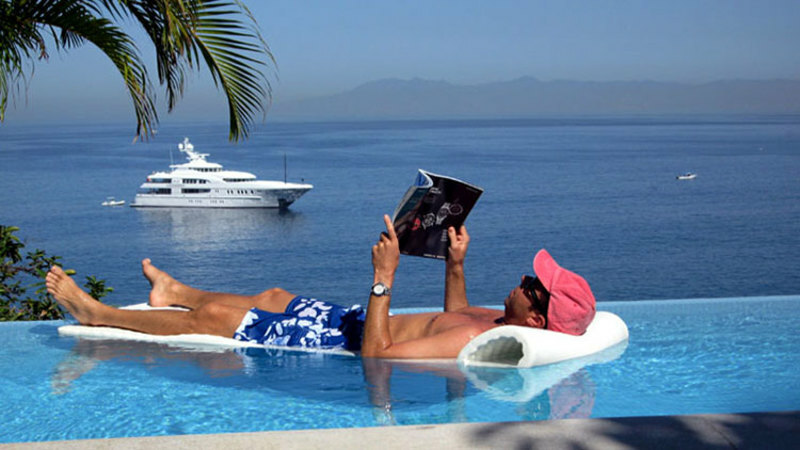 Guests have privileges to the private beach club, complete with private showers, changing rooms, bathroom facilities. Beach boys are in attendance to supply towels, chaise lounges, sun umbrellas, beach equipment. 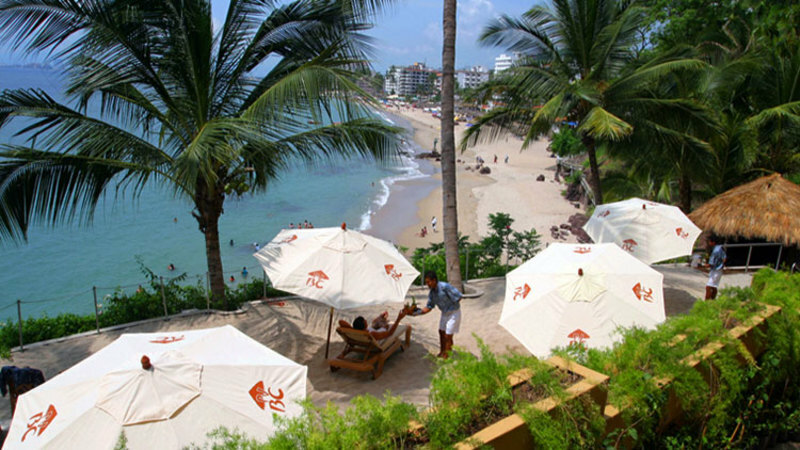 The Vallarta Beach Club Villas are air conditioned throughout. 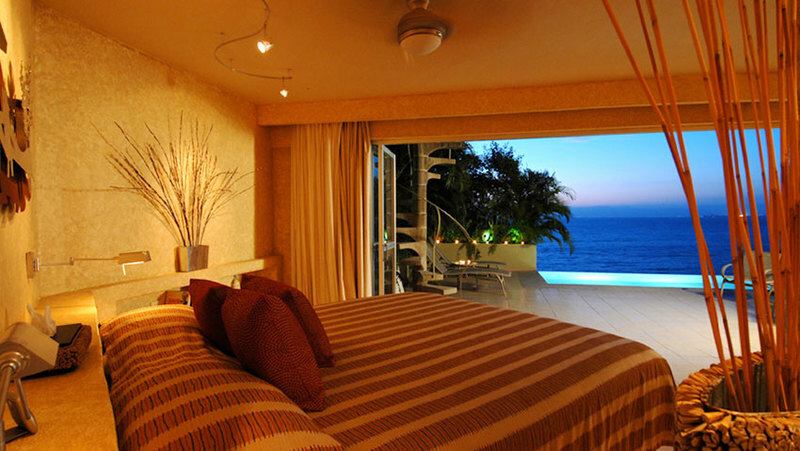 All rooms have full ocean views. 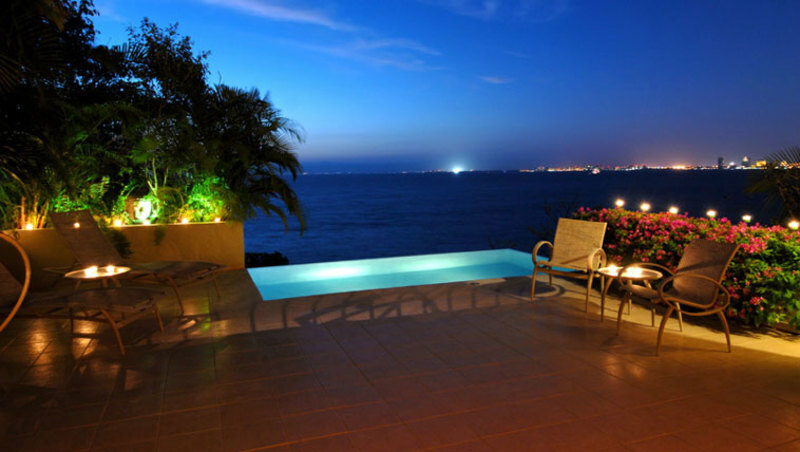 Each villa has its own heated infinity pool and outdoor BBQ. State of the art TV and stereo sound system are standard. Other amenities include high speed wireless Internet. Vonage offers free long distance calls to anywhere in the U.S. and Canada. Each villa has it's own purified water system. 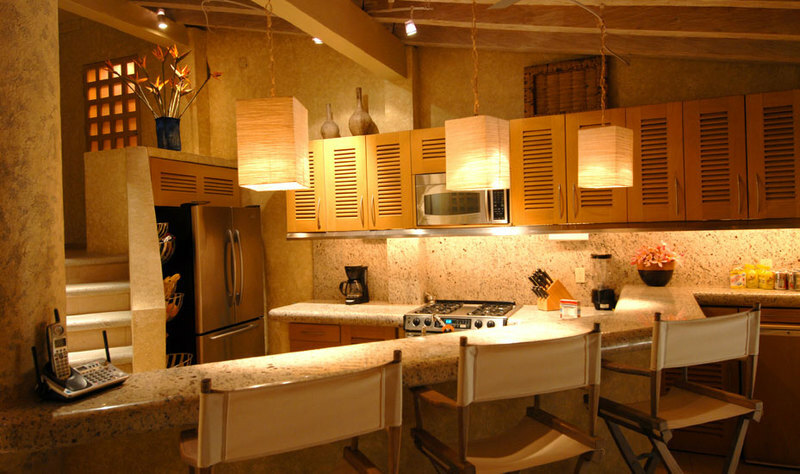 Professionally designed interiors feature a fully equipped gourmet kitchen, including microwave, dishwasher, blender, coffee maker. Daily housekeeping is included in your rental. Chef service is available on request at an additional charge. 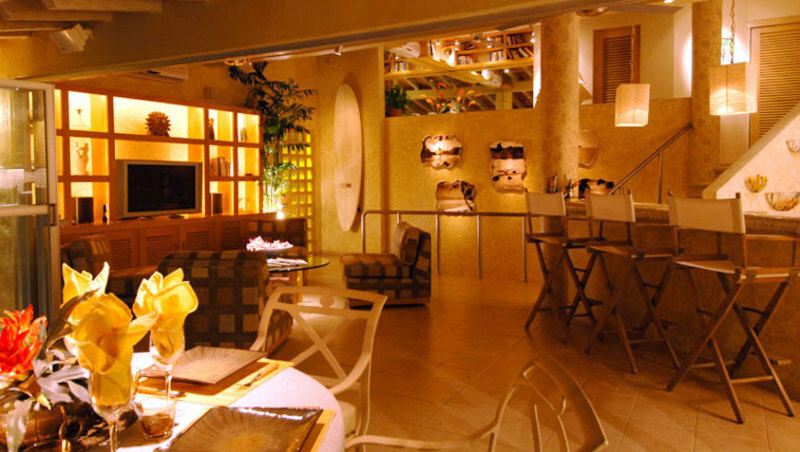 Additional Features: Full-time, on-site multilingual Concierge. Free on-site parking. On-call Chefs and Spa services. On site a/c fully equipped gym. Personal grocery shoppers. Kitchen/bar stocking service prior to your arrival. 24/7 Security. All rates are per bedroom per night plus 16% Mexican tax.